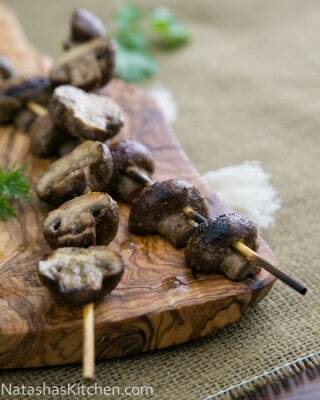 I absolutely love these Grilled Mushrooms on Skewers in every constellation! 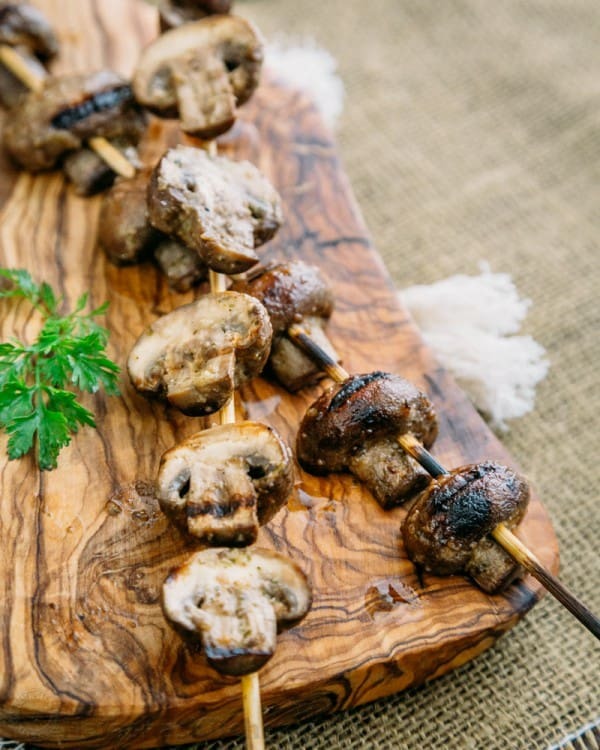 This easy marinated mushroom recipe is perfect for the grill. 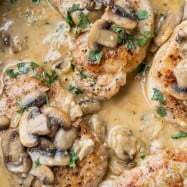 I used baby portobello mushrooms because I think they meatier than their cousins; the buttons or the crimini but this recipe does work with the regular mushrooms too. 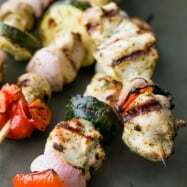 We broke out our BBQ this week and anything that can be grilled gets tossed onto the sizzling hot iron grates. To keep the mushrooms from falling through the grates, I skewered them (everything is better on a stick, or at least my 3-yr old thinks so). 2. 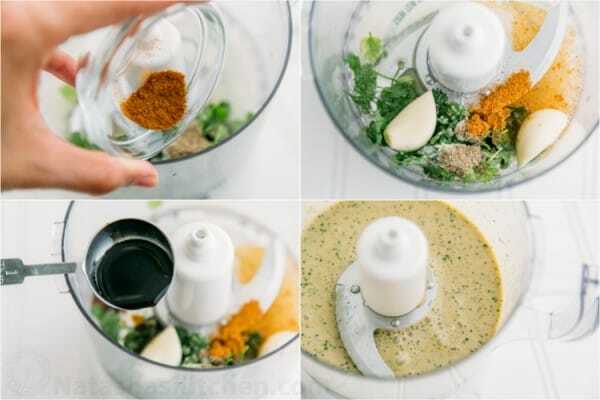 Place all of the marinade ingredients in a food processor and pulse several times until marinade is nearly smooth. 3. Rinse your mushrooms and pat dry. 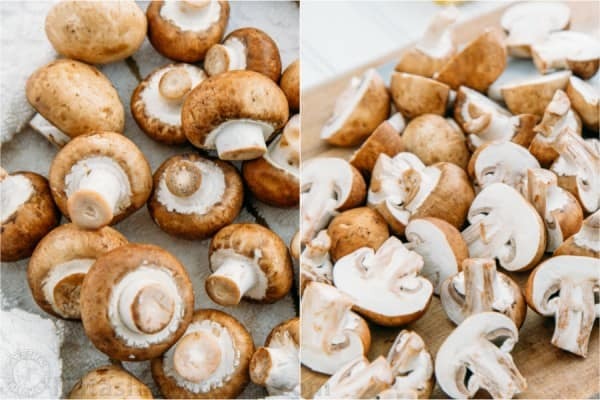 Cut each mushroom in half, so each piece has half of the mushroom stem. 4. 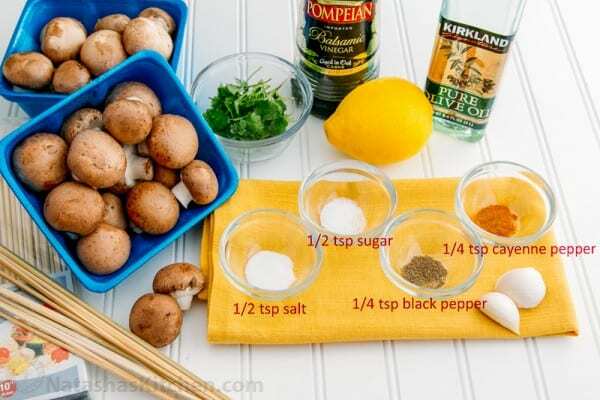 Place the mushroom halves into a large gallon-size ziploc bag, or a medium bowl and pour in the marinade. 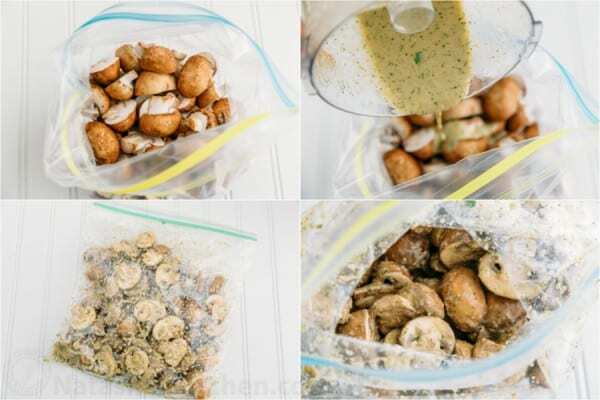 Shake the bag until all of the mushrooms are evenly coated in marinade. 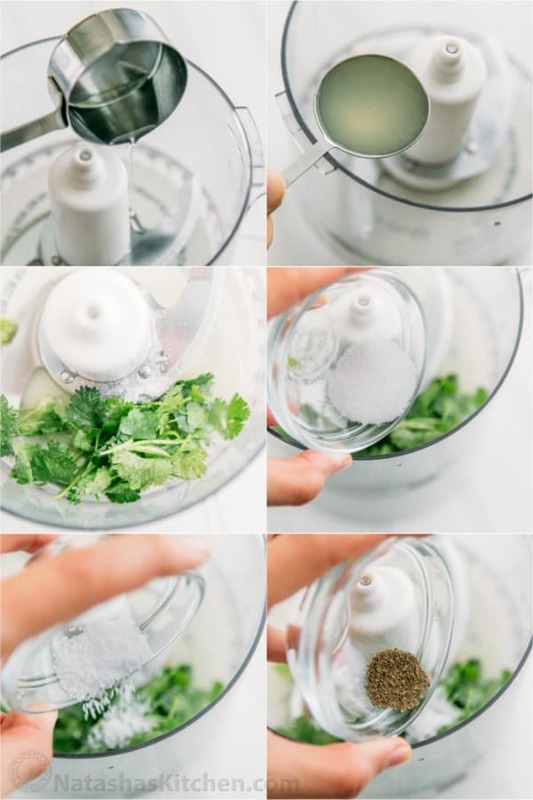 Refrigerate and marinate for 30-45 minutes. 5. Skewer the mushrooms snugly onto the bamboo/wooden skewers that have been soaking (no need to dry the skewers). Skewering the mushrooms was a little annoying at first until I got the hang of things. I’ve found that it’s easiest to skewer them by twisting them onto the stick. If you just push the stick through, it may cause the mushroom to crack. 6. 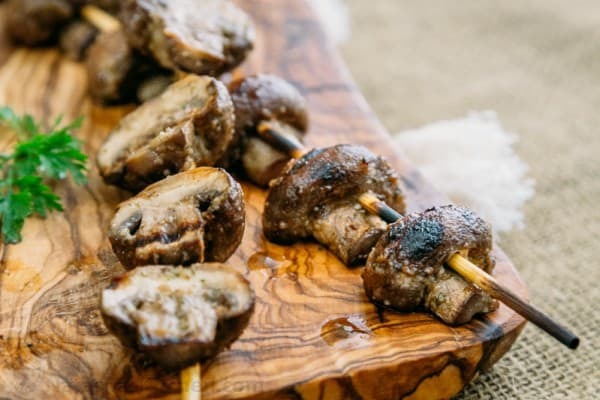 Place the skewered mushrooms on the hot grill for about 3 minutes per side, making sure the mushrooms do not burn to the grill. The mushrooms are done when they are soft; as mushrooms should be 🙂 Remove from the grill. Cover with foil to keep them warm until ready to serve. To keep the mushrooms from falling through the grates, I skewered them (everything is better on a stick, or at least my 3-yr old thinks so). 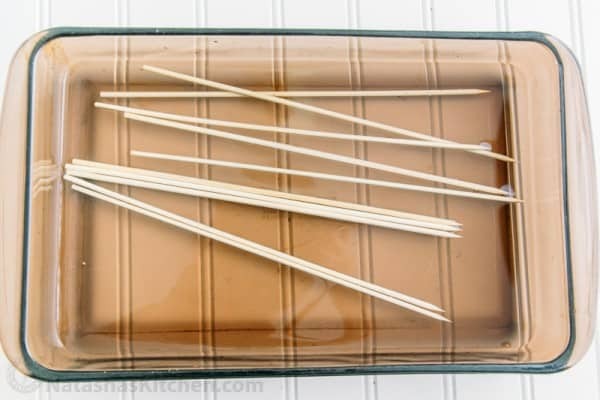 Place 10 medium skewers into a baking dish and cover with water. 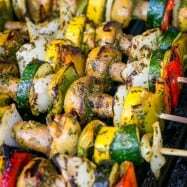 It's important to soak the skewers for at least 15 minutes (more is better) or they will burn too quickly on the grill. 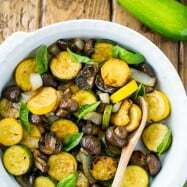 Place the mushroom halves into a large gallon-size ziploc bag, or a medium bowl and pour in the marinade. Shake the bag until all of the mushrooms are evenly coated in marinade. 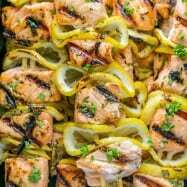 Refrigerate and marinate for 30-45 minutes. Skewer the mushrooms snugly onto the bamboo/wooden skewers that have been soaking (no need to dry the skewers). Skewering the mushrooms was a little annoying at first until I got the hang of things. I've found that it's easiest to skewer them by twisting them onto the stick. If you just push the stick through, it may cause the mushroom to crack. 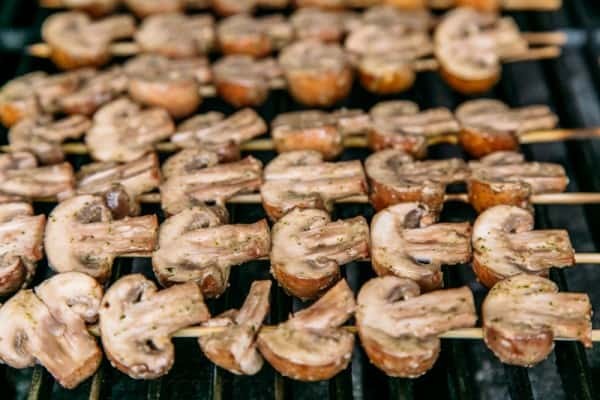 Place the skewered mushrooms on the hot grill for about 3 minutes per side, making sure the mushrooms do not burn to the grill. The mushrooms are done when they are soft; as mushrooms should be 🙂 Remove from the grill. Cover with foil to keep them warm until ready to serve. 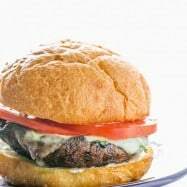 Tried it and it was really yummy .. You may also like to try something I tried with Portobello Mushrooms..